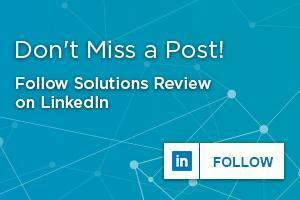 Below is a directory of Data Integration vendors, tools and software solutions including company overviews, links to social media and contact information for the Top 28 providers. If you would like a printed version of this page including complete solutions profiles and a list of the top questions to ask in an RFP – Request for Proposal, click here for a Free PDF. Actian offers data integration software in on-prem and cloud editions, DataConnect and DataCloud. DataConnect is a hybrid solution that enables users to design, deploy, and manage integrations without limits on data types or volumes. Actian Cloud is an elastic platform for deploying and managing hybrid, on-prem, or cloud-to-cloud integrations in an on-demand services platform that is powered by Amazon Web Services. 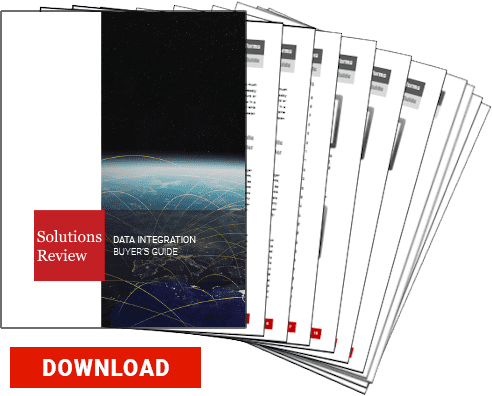 Download this Directory and get our Free Data Integration Solutions Buyers Guide. Actian DataConnect allows organizations to integrate with cloud, on-prem, mobile, or IoT data using hundreds of pre-built connectors. DataCloud enables users to connect to any endpoint and automatically expand service reach on-demand. In April, Actian released Actian X, a hybrid database that combines the Actian Ingres OLTP database with its Vector query engine. Adeptia Integration Suite (AIS) is an enterprise-class solution that simplifies all aspects of cloud and on-premise integration including B2B Integration, Application Integration (ESB), Business Process Management, and Data Integration (ETL) — eliminating the need for multiple vendors & applications, maximizing your investment, and ensuring your organization is prepared for the future. With Adeptia’s unified approach, you pay for only the functionality you need, while being able to scale as your needs evolve. Adeptia offers a broad spectrum of data integration capabilities in several deployment methods. Its traditional, on-prem product is considered to be one of the best in the market. However, Adeptia’s cloud-based Integration Platform as a Service product has not yet been recognized in the same breath as its competitors. Adeptia’s tools are also lacking in interoperability with other data management solutions. Alooma provides a data pipeline service that integrates with the most popular data sources. The Alooma platform features end-to-end security, which ensures that every event is securely transferred to a data warehouse (SOC2, HIPAA, and EU-US Privacy Shield certified). Alooma’s platform is built on a high-availability, fault-tolerant distributed architecture that allows users to track incoming throughput, latency, loading rates, and error rates. In addition, web and email notifications provide additional information about data pipelines. Attunity is a leading provider of information availability software solutions that enable access, sharing and distribution of data, including Big Data, across heterogeneous enterprise platforms, organizations, and the cloud. Attunity data integration solutions include data replication, change data capture (CDC), data connectivity, enterprise file replication (EFR) and managed-file-transfer (MFT). Attunity Replicate’s “Zero Footprint” architecture means that no agents must be placed on the source or target, eliminating overhead for mission-critical systems. In addition, every step of the replication process is automated and the Click-2-Replicate user interface offers drag-and-drop functionality. That means that IT teams don’t need master DBA skills to install and use the product. Celigo’s main product is its Integration Platform as a Service product called integrator.io. The solution enables organizations to connect applications, synchronize data, and automate processes. Celigo features an integration wizard that includes an API assistant, visual field mapping interface, and drop-down menus. Download this Directory and get our Free Data Integration Buyer’s Guide. Celigo has targeted the middle enterprise market for NetSuite and Salesforce environments. The integrator.io platform is ad hoc integrator-centric, developed for line-of-business users. Celigo has focused in on the North American market, and as a result, is not the best choice for organizations outside the continent. The Data Loader features advanced capabilities like dynamic search and calculations that will append, concatenate, or format data during import. The Cleo Integration Cloud allows organizations to connect to enterprise and SaaS applications with a variety of connectors and APIs. The tool automatically accepts, transforms, orchestrates, connects and integrates all B2B data types from any source and to any target, and can be deployed via several different methods. Cleo offers integration capabilities for a wide variety of use cases, including cloud and on-prem. Customers can connect, integrate and analyze end-to-end data flows between their ecosystem and internal systems as well. The vendor also offers comprehensive support and service packages, including the ability to run their integration product as a managed service. Cloud Elements offers an API integration product that features pre-built connectors called Elements. Elements enable connections into specific cloud applications or cloud service endpoints and provide normalized authentication, discovery APIs, search, event-driven workflows and unified error handling. Cloud Elements is best suited for complex integration scenarios, and its products include advanced functionality not commonly seen in the marketplace. Embedded integration for SaaS makes the product unique, allowing users to embed integration directly into their applications and hasten the adoption of APIs. Cloud Elements creates a unified API layer and standards-based implementation across any environment, ensuring that developers and integration users are decoupled from the backend services n which they rely. Dell Boomi is an integration solution built in the cloud, to fully exploit the value of the cloud. Organizations of all sizes—from small businesses to the largest global enterprises—trust Dell Boomi to connect any combination of cloud and on-premise applications. Dell Boomi provides navigation between master data management, data integration and data quality services (DQS) in a single interface. Centralized user and role management and single sign-on brings ease of use to the data management and data integration process. Denodo is a market leader in Data Virtualization. Founded in 1999 and based in Palo Alto, California, Denodo offers high-performance Data Integration and abstraction across a wide range of Big Data, enterprise, cloud, unstructured data sources and real-time data services. Denodo also enables access to unified business data for agile BI, analytics, and single-view applications. They are privately held and have roughly 300 customers of varying sizes. With the Denodo Platform, it is possible to leave all of the source data exactly where it is, stored across myriad heterogeneous systems, and to establish a virtual, “logical data lake” for accessing all of the data. To users and all applications that consume the data, this data lake appears as a single unified view of the data. Pentaho was acquired by Hitachi Data Systems (HDS) in 2015. Post-merger, Pentaho had been offered as a standalone software platform until recently when Hitachi combined the Pentaho, HDS and Hitachi Insight Groups into a new unit called Hitachi Vantara. Hitachi Vantara’s Pentaho platform for data integration and analytics offers traditional capabilities and big data connectivity. The solution supports the latest Hadoop distributions from Cloudera, Hortonworks, MapR, and Amazon Web Services. However, one of the tool’s shortcomings is that its big data focus takes attention away from other use cases. Pentaho can be deployed on-prem, in the cloud, or via a hybrid model. HVR provides real-time data replication for Business Intelligence, Big Data, and hybrid cloud. HVR can solve for a variety of Data Integration use cases including data migrations, Data Lake consolidation, geographic replication, database replication, and cloud integrations. HVR Software uses data capture between data sources including SQL databases, Hadoop, data warehousing and BI data stores as well as the most commonly used file systems. Beyond generic performance optimizations, HVR offers faster log-based capture from SQL server, improved loads into Teradata and Amazon Redshift, and full support for log-based Change Data Capture on open source PostgreSQL. IBM InfoSphere Information Server provides a rich set of information integration and governance capabilities that enable you to integrate big data with your traditional enterprise data and gain critical business insights. The end-to-end information integration capabilities of InfoSphere Information Server allow you to understand your data, cleanse, monitor, transform, and deliver data. IBM InfoSphere can integrate to databases such as its own InfoSphere Warehouse Enterprise (based on IBM DB2), IBM’s Big Data Analytics solution Netezza, SQL, Oracle and other databases or the Enterprise Service Bus or message brokers such as MQ series. Informatica is a leading provider of data integration software. Informatica’s enterprise data integration and management solutions and both mainframe and cloud based and include data governance, data migration, data quality, data synchronization and data warehousing. Informatica’s mainframe data integration solutions are designed to interoperate with Informatica PowerCenter and Informatica PowerExchange on Linux, UNIX, and Windows platforms. Informatica Cloud connects to a wide variety of on-premise and cloud-based applications—including enterprise applications, databases, flat files, file feeds, and even social networking sites. Jitterbit is a leading provider of application and data integration software that addresses the cost and complexity challenges associated with connecting on-premise and Cloud applications, data and business processes. Jitterbit’s graphical “No-Coding” approach simplifies the configuration and management of otherwise complex integration projects. Available in the cloud or on-premise, Jitterbit automatically discovers system configurations and allows non-technical users to point and click to define source & target systems, drag and drop to map data transformations, and run integration operations on batch, trickle or real-time schedules. Keboola Connection is a cloud-based data integration platform that connects data sources to analytics platforms. It supports the entire data workflow process, from the point of data extraction, preparation, cleansing, warehousing, and all the way to its integration, enrichment, and loading. Keboola offers more than 200 integrations and features an environment that allows users to build their own data applications or integrations using GitHub and Docker. Keboola allows organizations to ingest data using more than 100 pre-built extractors for databases, FTP, and flat files. The user interface is intuitive and provides users with the capabilities to tackle data tasks with SQL, Python, or R. Keboola can automate low-value activities while accounting for critical components like audit trail, version control, and access management. Open architecture makes it scalable without the need for extensive retooling, and businesses can utilize galleries of pre-built connectors or their own. MuleSoft is a B2B application delivery network that connects data, applications and devices with APIs. It enables organizations to improve their applications through integration while also providing API connectivity to a wide variety of on-prem and cloud-based applications and systems. The California-based vendor provides both iPaaS and traditional integration tools, and has a growing portfolio of capabilities. Download this Directory along with our Free Data Integration Solutions Buyers Guide. Anypoint Platform is MuleSoft’s integration application and API suite. It comprises a toolset that enables organizations to create, integrate, model, build, and deploy services, APIs and applications. Anypoint Platform tools are accessed primarily through a browser but also have command line tools and APIs. Through the platform it is possible to control most aspects of integration applications and APIs throughout their entire lifecycle. Oracle Data Integrator is a comprehensive data integration platform that covers all data integration requirements: from high-volume, high-performance batch loads, to event-driven, trickle-feed integration processes, to SOA-enabled data services. It is fully integrated with Oracle Fusion Middleware, Oracle Database, and Exadata as well as out-of-box integration with ERPs, CRMs, B2B systems, flat files, XML data, LDAP, JDBC, and ODBC. Instead of relying on a separate, conventional ETL transformation server, Oracle Data Integrator Enterprise Edition’s E-LT architecture generates native code for disparate RDBMS engines (SQL, bulk loader scripts, for example). E-LT architecture extracts data from sources, loads it into a target, and transforms it using the database power. SAP® BusinessObjects™ Integration software provides direct connectivity to enterprise applications. This enables you to consolidate and transform vast amounts of data into reports, analyses, visualizations, and dashboards while helping ensure data security and compliance. With SAP BusinessObjects Integration, your organization can leverage a single business intelligence (BI) solution for better-informed, faster decision making and business performance optimization. Data Integrator delivers ETL scalability with support for parallel processing, grid computing, real-time data movement, and broad source and target support. This open and services-based architecture allows you to integrate with thirdparty products using industry standard protocols such as CWM, XML, HTTP/HTTPS, JMS, SNMP, and Web services. SAS Data Management Advanced enables organizations to extract, transform and load (ETL) data from across many different sources to create consistent, accurate information. A point-and-click process design desktop makes it easy to build logical workflows, quickly identify input and output data flows, and create business rules in metadata, all of which enable the rapid generation of data warehouses, data marts and data streams. Organizations can take advantage of a grid-enabled, load-balanced, multithreaded parallel processing architecture that can quickly transform and move data between different platforms and systems. SAS also supports zero data movement by using SQL pass-through into popular database appliances, including Oracle, DB2, Teradata, Netezza, SQL Server, Aster and Hadoop. SnapLogic’s Enterprise Integration Cloud provides integration across applications, databases, data warehouses, big data streams, and IoT deployments. It allows both IT and business users to create data pipelines that can be deployed on-prem or in the cloud. SnapLogic’s Enterprise Integration Cloud accelerates data and process flow across applications, databases, data warehouses, big data streams, and IoT deployments – whether on-premises or in the cloud. Unlike traditional integration software that requires painstaking, hand-crafted coding by teams of developers, SnapLogic’s simple but powerful platform enables both IT and business users to create quality, scalable data pipelines that get the right data to the right people at the right time. Striim handles ingestion of a wide variety of fast data (including data trapped in enterprise databases), in-stream processing and analytics, and loading to all major Big Data, Cloud and other storage environments. Analyzed data provides immediate value via real-time alerts, visualizations and triggers. Striim’s out-of-the-box Wizard deliver custom, real-time data integration and streaming analytics applications quickly. Applications can be tailored using Striim’s drag-and-drop UI and SQL-like language. The platform scales linearly, handling hundreds of millions of messages per second to meet the needs of real-time enterprises. DMExpress Syncsort’s flagship data integration product, is the fastest version with high-performance compression technology and high-performance join algorithms. All of the components required for data integration acceleration are included in this comprehensive edition. DMExpress also contains new capabilities, such as Metadata Interchange, allowing you to easily import jobs from other platforms, such as Informatica and IBM DataStage, to accelerate deployment. DMExpress eliminates data latency by reducing CPU time, elapsed time, and disk I/O activity while utilizing minimal resources on commodity hardware. It also shortens deployment and development timeframes by leveraging a graphical, drag and drop development environment. DMExpress utilizes proprietary sorting algorithms, I/O optimization, parallel processing, and dynamic environmental monitoring techniques. Talend has beefed up its data management capabilities in recent months, and now offers perhaps the broadest product portfolio of any vendor in this buyer’s guide. The company’s data preparation functionality and support for multi-cloud environments are welcomed additions. In September, Talend also unveiled a new governance and compliance tool to assist organizations in preparing for the General Data Protection Regulation (GDPR). With a strong portfolio for a number of data integration use cases, Talend remains a major player in this marketplace. Tamr offers a machine learning-based data integration product called Unify. The solution allows organizations to connect to any tabular data and publish it anywhere. Users can map schemas with machine learning suggestions and normalize data formats using Spark and SQL. Tamr’s Master Records feature provides a complete view of all entities via simple yes and no questions as well. The company was originally invented by Dr. Michael Stonebraker and his colleagues who published their research about the Data Tamer System for handling large-scale data curation in 2013. Tamr allows its customers to connect to any tabular data and publish anywhere. Included machine learning suggestions speed up the alignment of data sources so users can normalize data formats using Spark and SQL. Tamr is unique because of its patented machine learning capabilities, as well as data mastering that provides a unified view of customers. Tamr has also begun offering an issue tracker specifically designed for data called Steward (beta). The company closed $18 million in new venture capital funding in 2018. TIBCO Software is a new addition to this buyer’s guide. The Palo Alto-based, publicly held solution provider is well-known in the data and analytic marketplace, but also offers a growing portfolio of integration tools. TIBCO’s flagship Integration Platform as a Service product, TIBCO Cloud Integration, requires no code. It also allows users to create, model, and deploy APIs in a completely guided process. TIBCO offers a fully integrated data platform that can handle a variety of data integration use cases. The company’s acquisition of Cisco’s data virtualization technologies rounds out its product portfolio even further. TIBCO’s integration solution can be deployed on-prem, in the cloud, or via a hybrid model. Cloud-native application integration, API management, IoT connectivity, and an eye on evolving customer needs has TIBCO’s arrow pointing straight up in 2019. TMMData offers a product called the Foundation Platform which includes data integration, data preparation and data management functionality. The tool can be deployed on-prem, in the cloud or via a hybrid method so organizations can work with their data regardless of where it resides. TMMData provides pre-built connectors and integrations and a graphical workflow built for users without technical skills. The product also allows users to maintain data quality and accuracy with user-friendly forms and access controls. TMMData offers a web-based platform for doing data integration and preparation. The Foundation Platform also provides capabilities we normally consider key tenets of software in horizontal markets, such as data management platforms. The product features high-performance, pre-built connectors that make it easy to integrate centralized data from database systems and big data sources like Hadoop, BigQuery and MongoDB as well. Solutions Review recently named TMMData a 2019 Data Integration Tools Vendor to Watch. Xplenty allows organizations to implement an ETL, ELT or replication solution using a graphical interface. Users can orchestrate and schedule data pipelines using the vendor’s proprietary workflow engine. The tool also features an expression language that is used to implement complex data preparation functionality. Xplenty connects and integrates with a wide variety of data repositories and SaaS applications as well. Based in Tel Aviv, Israel, Xplenty was founded in 2012. Xplenty allows users to execute packages either from the UI or the API. The tool then allows job scheduling and monitoring, as well as sample data outputs to ensure correctness and validity. Xplenty can integrate data from more than 100 data stores and SaaS applications via native connectors. Users can configure the product to pull or push data from the public or private cloud as well. Solutions Review recently named the company a Vendor to Watch in the Integration Platform as a Service category for 2019.